Published on August 25, 2009 in noborder lesvos '09. 1 Comment Tags: heyhoh let's go, noborder, opening, programme, radio. 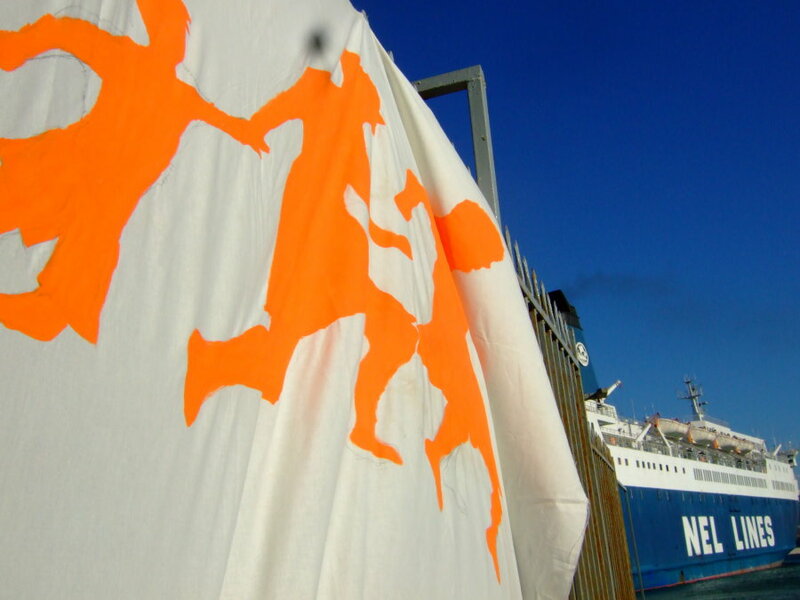 Today, we are “officially” opening the Noborder Camp Lesvos 2009. Several hundred people have been in the camp yesterday already, and today saw the arrival of scored of new people. We are still debating how many we are now. But we are definitely more than 500. Although we start today, the people who came earlier to help set up the camp as well as the people from Lesvos have been active for several days already. The hungerstrike of 150 minors in Pagani detention centre sparked a campaign for the immediate closure of the detention centre which led us to establish a permanent infopoint in Mytilini. Noborder Lesvos ’09 offers a broad programme. With people from all over the world attending and contributing their individual skills and knowledge, we will form a powerful collective to overcome the realities of the european borders. In workshops, we will exchange and learn from each other. Different actions are targeting authorities responsible for death and suffering at the borders and inside detention centres. In the meanwhile, a detention centre construction site in Netherlands as well as a former deportation prison in Germany went up in flames. If you couldn’t make it to Lesvos, you can nevertheless be part of Lesvos09. Follow us on this website, our twitter feed or at your local indymedia. Spread the message about noborder, fill gaps in reporting. We might be calling for collective action, so stay alert! There will also be a camp radio. Locally, you can listen to it at FM105.05. Web stream, we are still working on it. Shut down all detention centres.